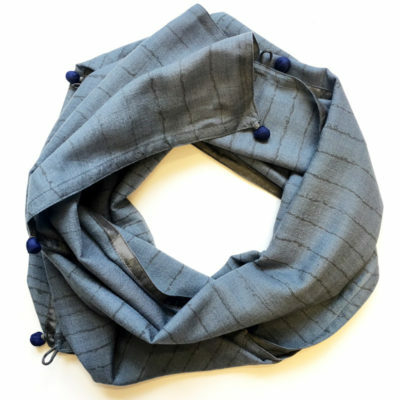 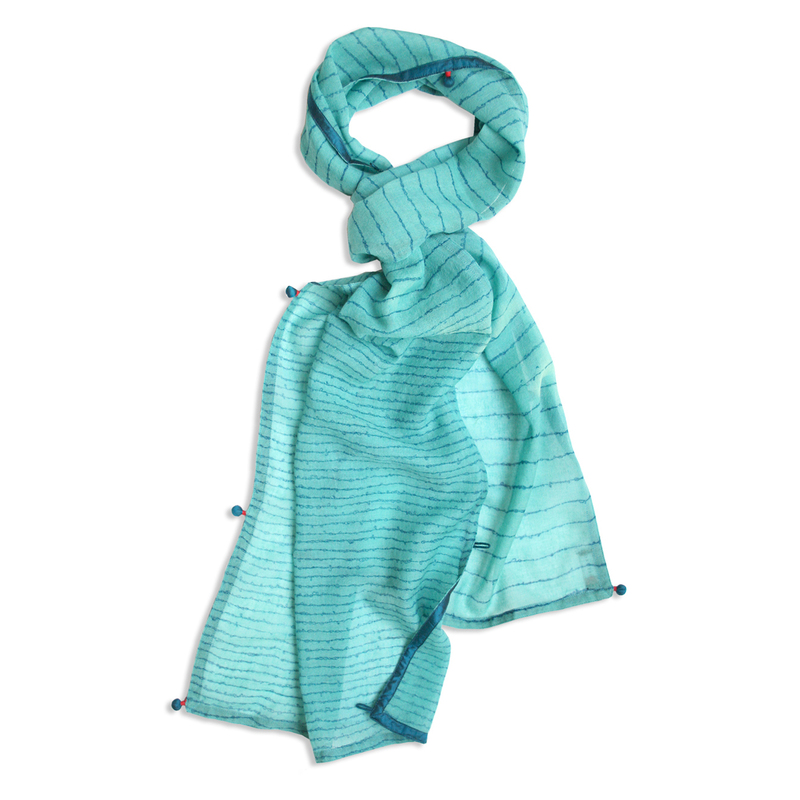 Shoreditch wool scarf is the perfect accessory for your winter wardrobe. 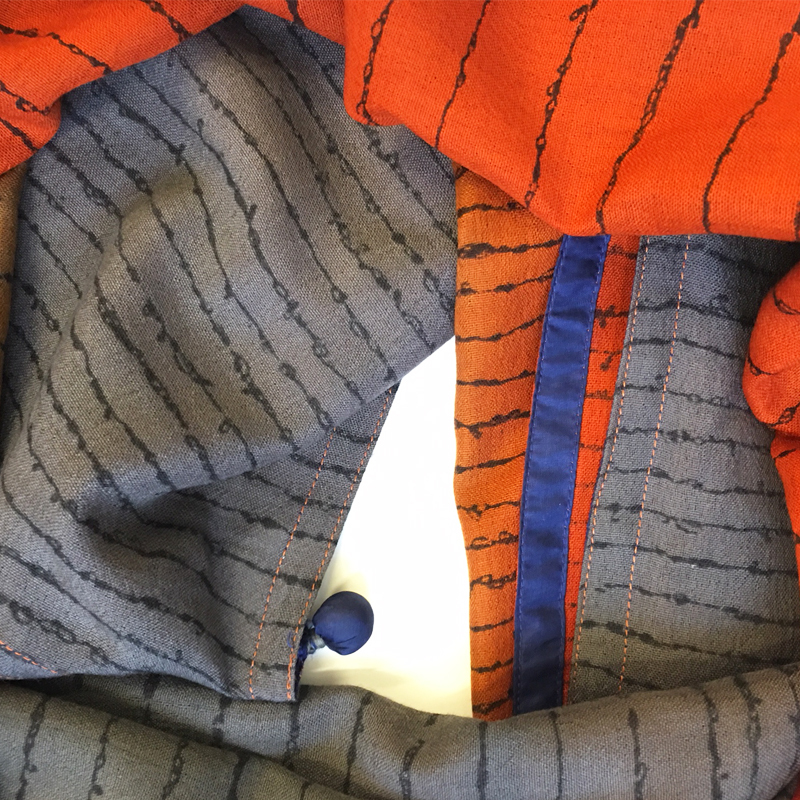 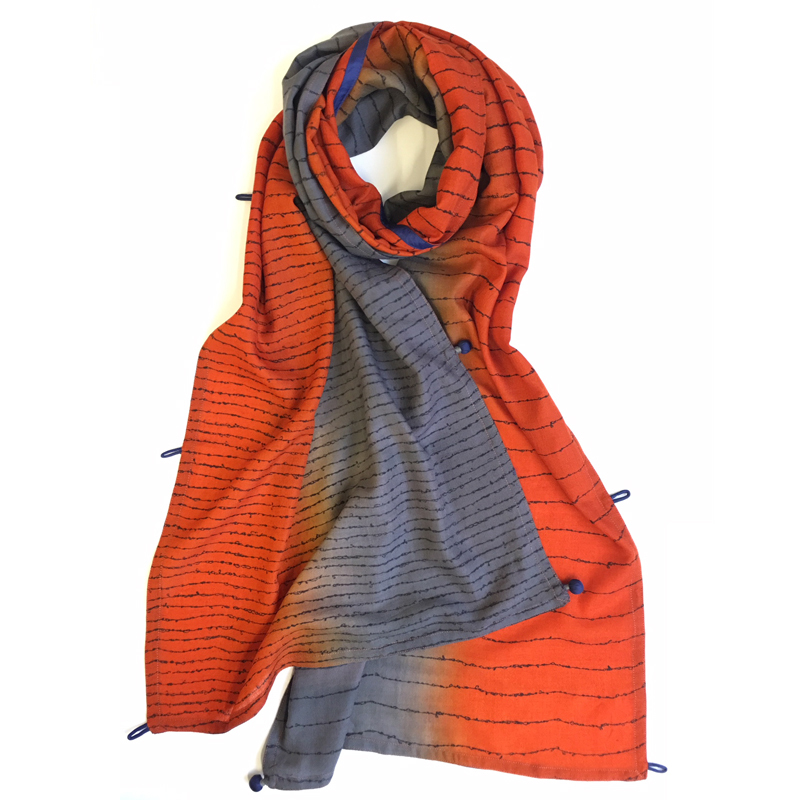 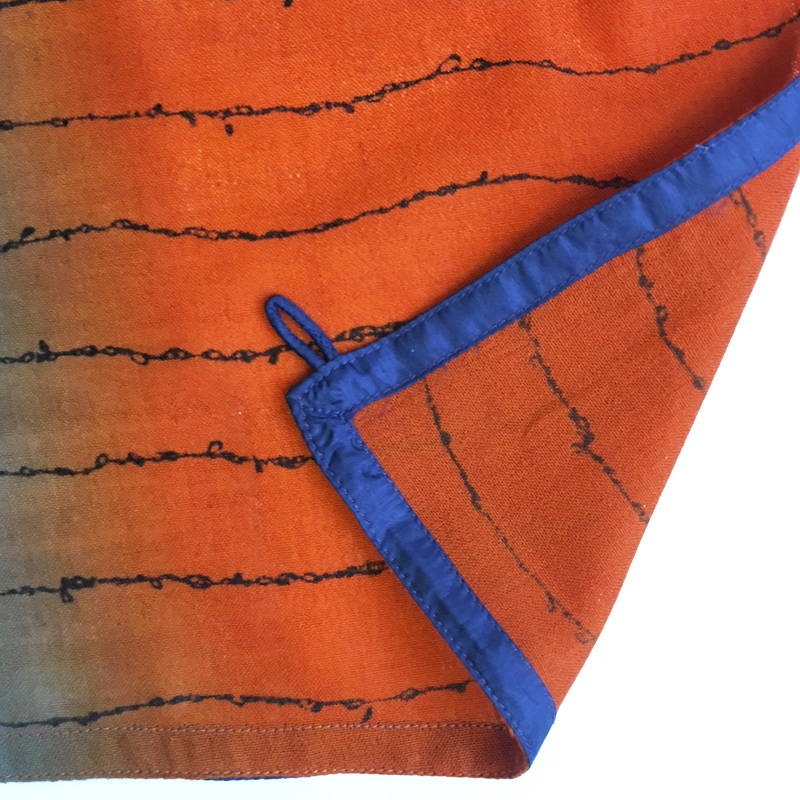 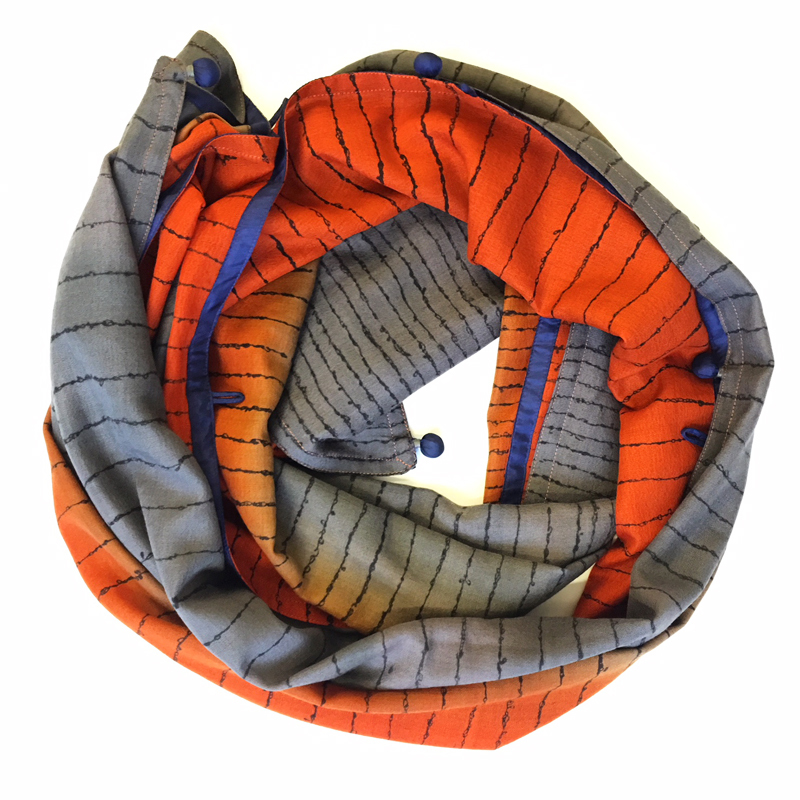 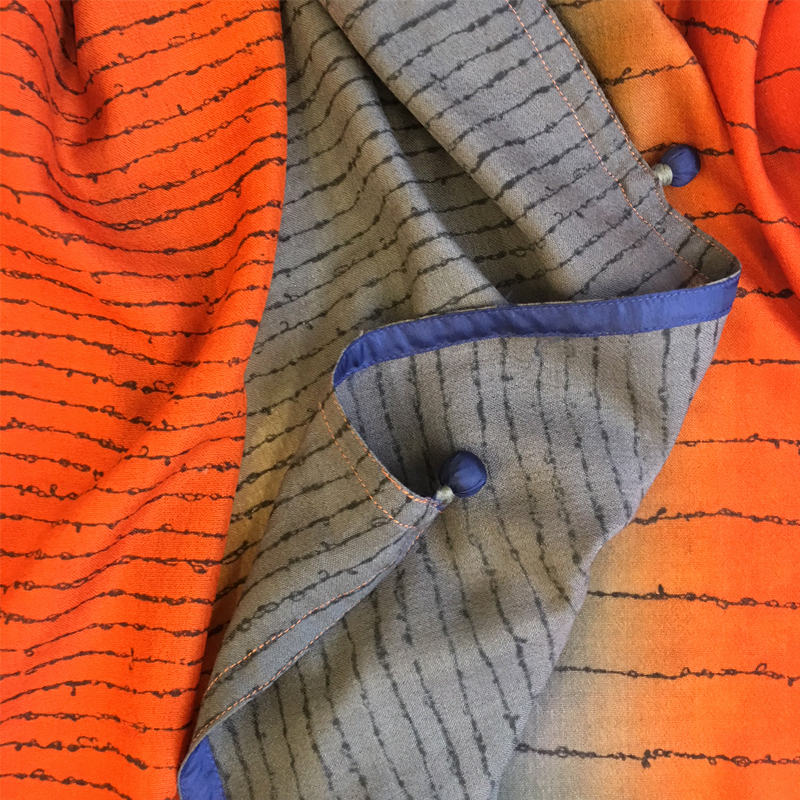 Handprinted in warm orange and sophisticated grey on a beautiful fine wool with a navy edging in silk, it is designed to keep you looking stylish while staying warm. 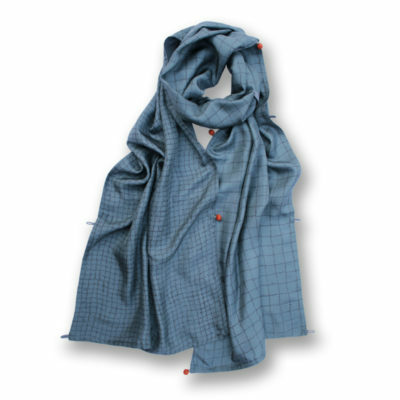 Style it in different ways linking the buttons and let your scarf accentuate the cool sophisticate you are.